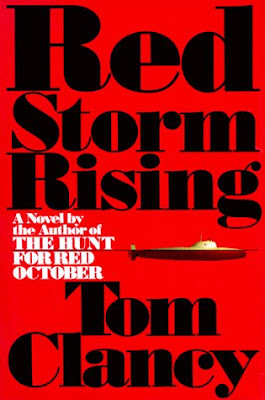 Red Storm Rising is a novel about a hypothetical WW3 fought between NATO and the Warsaw Pact during the mid- to late 1980s. Written by Tom Clancy and co-authored by Larry Bond, it was published by Putnam in 1986 and has ever since lived on as one of the best examples of the Cold-War-Turned-Hot genre. Not only is it a very good thriller, its depiction of naval and land warfare was heavily based on how experts and simulations predicted the military hardware might perform. 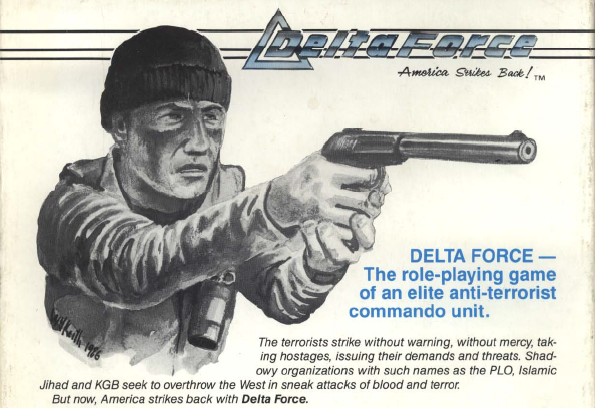 A few months back, I had the rare pleasure of refereeing a game of "Delta Force - America Strikes Back!" This is based directly on the first scenario in the main rulebook called Operation Red Thunder. We tried to play it straight but you'll find some irony seeping in here and there with various nods to 80s action movies. We ended up using some of the Phoenix Command rules for the combat at the end. The call came in at 1050 this morning. You were up and doing your morning training routine at Rammstein AFB. A nervous captain pulled up in a Hummer and told you to pile in. 10 minutes later, you were being whisked away by Huey towards Eschwege, a US Army base within a stone’s throw of the East German border. During the 90-minute flight, the Delta Force captain briefed you over the headset as the green hills and forests of West Germany rolled away beneath you.